Dances with Wolves: 1 bed / 1 bath. Sleeps 2. Young or old, new loves or long-time partners, Dances with Wolves simply won’t disappoint. Is this one of those rare weekends when all the kids have other plans? Or is this that long anticipated escape to someplace where you can hide out and forget about normal life for awhile? Do thoughts of waking up late in a big comfortable King bed run through your head? 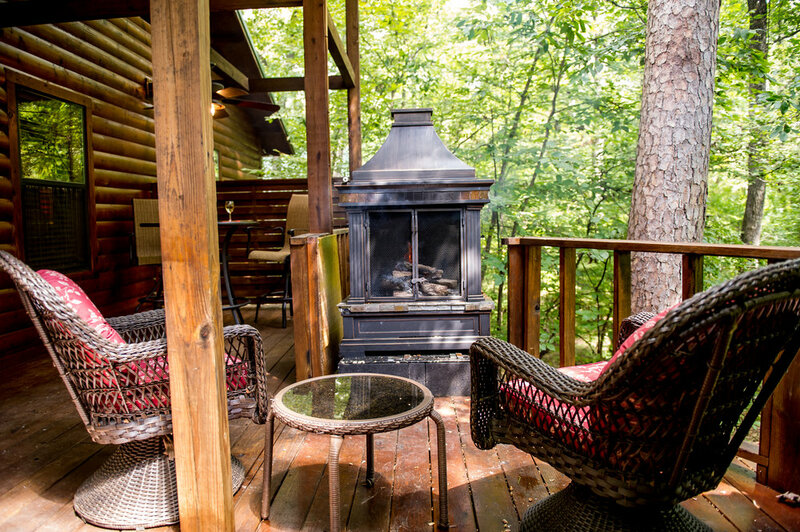 How about slipping out in your robe to sip coffee on a private deck? 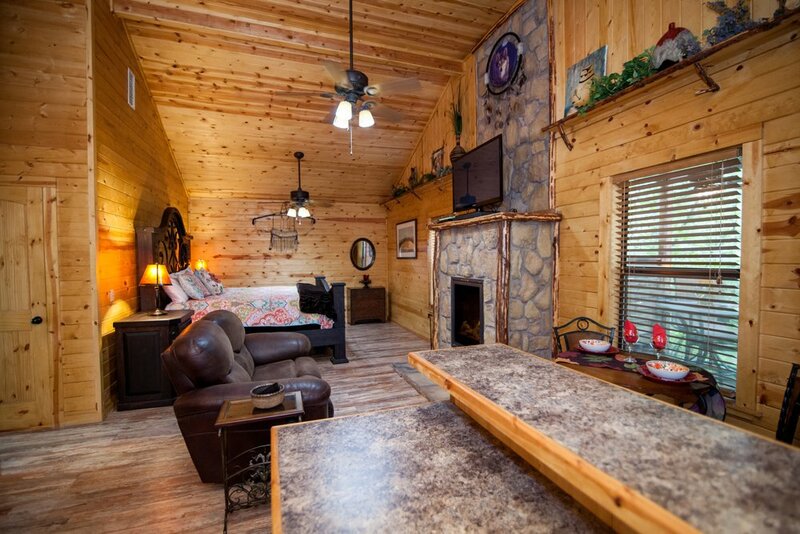 Whether you are looking for a couple’s weekend to enjoy the nearby Broken Bow Lake or Beavers’ Bend State Park, or just want to hide out in the cabin, only leaving long enough to grab some delicious take out from the local restaurants; Dances with Wolves is for you! Enjoy late nights watching movies on the oversize flat screen. 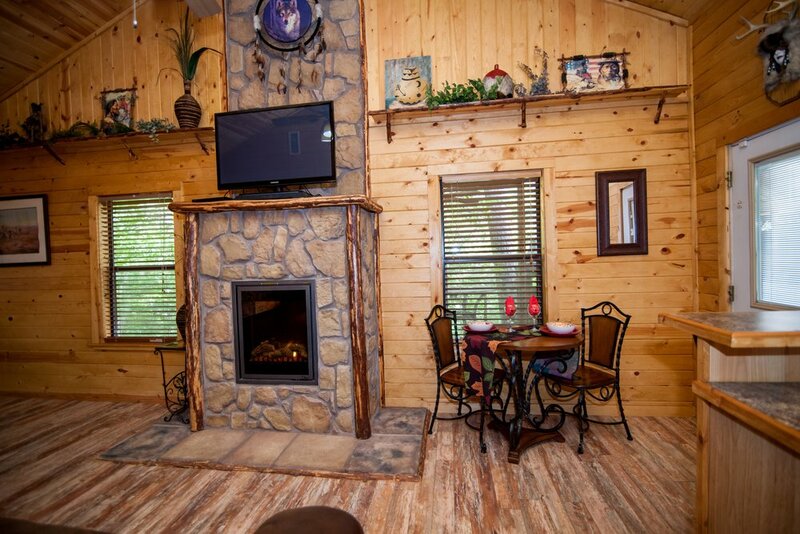 Waste hours on the deck with the outdoor fireplace and sunken hot tub, eat out or prepare a special meal in a ready to cook kitchen. 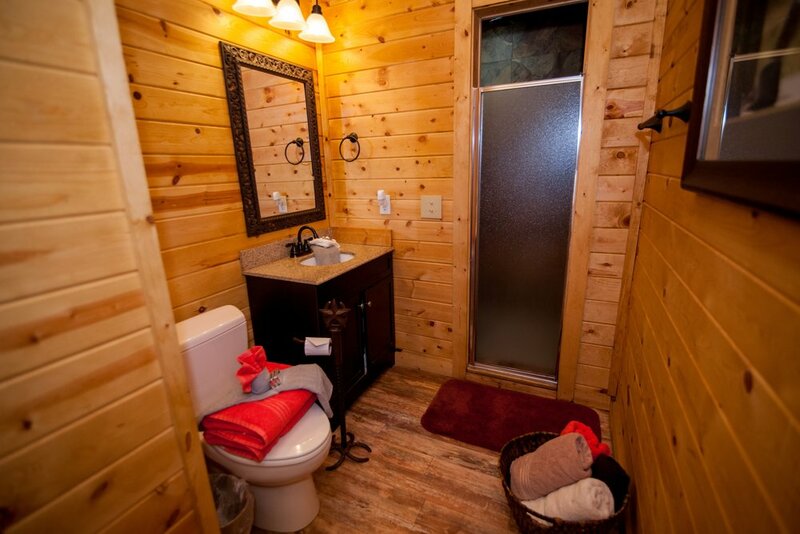 This cabin has what you need to make this weekend special.